Resolutions, commitments, goals, or none of the above? Whether or not you commit to implement a new habit, goal, plan or otherwise, you undoubtedly have some kind of aspiration for the year ahead. Before you nail down your commitments, think about a new approach to accomplishing your goals. Here are three skills that will help you seal the deal on meeting and exceeding your desired outcomes this year and in life in general. You know how it goes. For the next 2-3 weeks the gym will be packed, the fruits and vegetables will be picked over, and your credit card bill will have fewer charges. And then the creep will start making his way across the landscape – the creep of sliding resolutions. It’s like clockwork. It’s funny in a way, but also kind of sad. People barely get out of the starting blocks before they sit down. Set your sights higher. Whatever your goal or new habit, commit to still be following it this time next year. Open ended goals won’t set you up for success. You might as well be saying, “I commit to eating well until I can’t stand it anymore.” Instead, punctuate your goal with a clear finish line. That’s the only way you will keep yourself on track: “I commit to eating well until December 2018.” Then put it on your calendar so you are accountable to it. In short, consider what you are really committing to: making goals, starting goals, or finishing them. Get really clear about the boundaries of your goals – who, what, when, where, how, why, and for how long are you committing, and you will compound your success rate exponentially. Before you set your new goals in motion, acknowledge what you are committed to now. Overindulging, over-spending, under-functioning? It may sound strange to think of it that way but to be straight, whether conscious or unconscious, you are committing to what you are doing at any given time because you are ultimately the only one who controls your thoughts, choices, and actions. Ouch? Maybe. But how else will you achieve the change you want going forward than to take full responsibility for yourself right now? You get to have control over yourself. No one can make you think or do something you don’t want to think or do. Your thoughts and actions are your right and your responsibility. Commit to taking sole ownership and responsibility for your thoughts, choices, and actions. This is your power house. The freedom and ease that will result are beyond compare. Who knew you had such a treasure right in your own back yard. You really can’t underestimate the value of designing your life based off of your personal core values and principles. If you don’t know what yours are specifically, then you risk living reactively to your external circumstances which, in my experience, is just plain miserable and totally unfulfilling. What is on the inside drives what happens on the outside. As you prepare for the year ahead, spend time identifying your core beliefs and principles. Write them down and post them where you can seem them daily. Then, link each one of your new year goals to one of your personal life principles. This alignment will bolster your internal buy in and resolution to fulfill your commitments. If you want to raise the bar in your life this year – commit to higher standards for yourself. 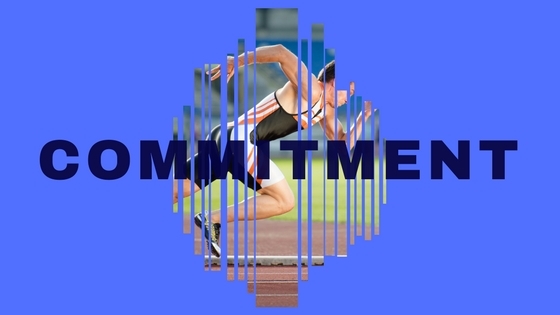 Make commitments that go the distance, take ownership of your choices, and connect your commitments/choices to your core values and principles. If you’d like help clarifying your goals, values & principles, or with taking ownership and responsibility, consider hiring a coach to guide you through the process. You will find more focus and ease in all your other goals and endeavors when you master these basic skills of conscious living. May your 2018 abound with happiness, growth, fulfillment, and personal success.